If you have lost your pet, please contact ANIMAL CONTROL immediately-410-749-1070. If you live in the Salisbury City limits, you can also contact Salisbury Animal Control at 410-548-3165. CLAIM OUT FEES: If your pet is here, the claim-out fee is $50 and $15/day for board. Please be aware that you will need to pay by cash or credit/debit card as we do not accept checks for claim-outs. Claim-out fees are increased for animals that have been at the shelter previously. You will need to provide proof of ownership and current rabies vaccination. This may be items such as photos, vet records, etc. 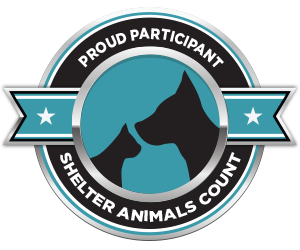 If this is the animals first time in the shelter, the initial $50 fee may be substituted for a $35 fee if the owner agrees to have the animal microchipped. Animals may be reclaimed at anytime during our normal business hours. Animal Control may have citations that will need to be signed. Once the citations are issued these are handled by the Court System. Staff is not able to answer legal questions regarding defense of citations, you will need to consult legal advice. The Humane Society offers microchipping services to reunite lost pets with their owners. Call for an appointment–410-749-7603. We are looking for our family and hope that they are looking for us. If you know us or our family, please tell them to come and take us home. I am a 1	year old, Domestic Short Hair. I was found in Delmar, MD on Pennsylvania Ave. . I am a 1	year old, Domestic Short Hair. I was found in Mardela Springs on Sharptown Rd. I am a 1	year old, Male, Pit Bull Mix. I was found in Salisbury, MD on Raymor Dr. . I am a Domestic Short Hair. I was found in Salisbury MD, Buena Vista dr. I am a 6	month old, Female, Pitbull Mix. I was found in Salisbury MD, Catherine st.. I am a 1-2	year old, Female, Pitbull Mix. I was found in Hebron MD, Quantico Creek rd. I am a Domestic Short Hair. I was found in Hebron MD, Barnes ct.. I am a Domestic Medium Hair. I was found in Salisbury MD, Buena Vista dr. I am a Male, Pitbull Mix. I was found in Salisbury MD, West rd. I am a 10	year old, Female, Pug Mix. I was found in Delmar MD, Stage rd.